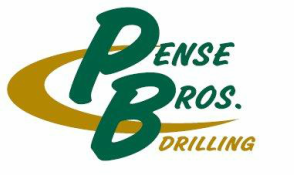 Pense Bros. Operations - Pense Bros. Drilling Co.
Our fleet of 25 rigs includes the Atlas Copco RD20, Schramm T685, Schramm T130XD, and Schramm TXD. These rigs are highly mobile and can travel on highways and off-road conditions allowing significant savings in time and mobilization costs. Maximum depth is generally around 5000’ to 9000’ and wells can be drilled in just a few days. In the Fayetteville Shale, for example, a Pense Brothers RD20 rig can drill as many as 10 wells (averaging 3000’ each including move time) in one month. In the Raton Basin, a Pense Brothers rig can drill as many as 18 wells (averaging 2,500’ each including move time) in one month. The Schramm TXD is capable of reaching 9000’ + depths, and our RD20’s can use aluminum pipe to extend the maximum depth beyond 5000’. One of the newest trends in natural gas drilling is to use a “mixed fleet” approach which greatly reduces the number of days required to drill a well. A mixed fleet approach allows a Pense Brothers rig to move on first and drill multiple shallow wells. Then a larger rig follows behind to drill the directional segments of the well. This approach allows maximum efficiency and significant savings. Other customers have found that the Pense Brothers RD20 is efficient in drilling shallow directional wells. In Oklahoma, one Pense rig recently drilled 4 horizontal wells in 11 days time. Some of our larger contracts include ConocoPhillips, Southwestern Energy, BHP Billiton, El Paso, Anadarko, and XTO. Our customers have found our services to be a very cost effective alternative due to our experience and type of equipment used. "Mixed Fleet - A New Approach to Making Money in the Oil and Gas Market"
"Lessons Learned Contribute to Success: Pense Brothers has earned its reputation as an industry leader"